Izhmash is a brand of Russian Kalashnikov sporting rifles. 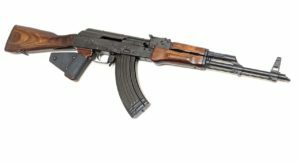 The California legal Lee Armory Russian Izhmash AK-47 sporting rifle is available from Cordelia Gun Exchange. The Lee Armory Russian AK47 in 7.62×39 We started with rare, hard to find 1969 Izhmash kits, numbers matching of course. We added a Childer’s Guns receiver with the proper Russian fire select markings and a brand new Radom cold hammer forged barrel. 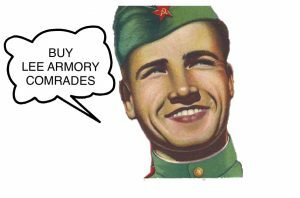 We gave all of the parts to the wizards at Lee Armory and told them to “make us some beauties.” These are the result. Properly built with Russian spec rivets, Tapco G2 triggers (922r compliance), and all the gun love possible. After construction they are sent to We Plead the 2nd for a top notch Cerakote application, then reassembled with the original, untouched wood furniture. For California, we add a grip wrap and block the mag to 10 rounds. Own a piece of history today!